The warm up is over so quick, we hardly give it much thought. We often just fall into our routines and move on to the next part of training. To try and break up those routines, our site them in December focused on finding new ideas and reminding coaches of old ideas. We pulled together four new articles, plus a new video, new podcast, and member hangout on the topic. Understand the purpose of warming up. The name “warm up” is misleading: the purpose of warming up isn’t simply to warm the body up. As Steve Myrland wrote about, it is also to activate the nervous system and mentally prepare for training or competition. If you don’t understand the purpose of the warm up, how can you expect to have it contribute to your training? Understand the context of your warm up. 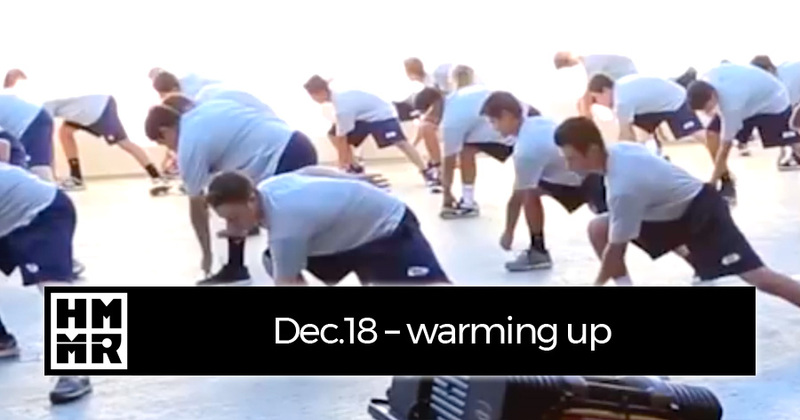 First off, what you are warming up will dictate your warm up. As we shared examples of in our member hangout, warm up for rugby will look different than a warm up for sprinting. You also have to consider the constraints you have . As James de Lacey wrote about, short warm ups can be effective as long warm ups. Michael Bingaman also showed how skiing warm ups have to be adapted to the different facilities on tour. So keep the context in mind. The basics never get old. It’s been more than 20 years since Vern Gambetta released his warm up DVD. We posted it for HMMR Plus members to stream this month and it is amazing how much of it is still relevant. Fads come and go, but the basics of training hold firm. Think long term. Let’s be honest: a lot of athletes have performed well without proper warm ups. The warm up is not always what will win you the race. But it might be what keeps you healthy enough to train more and win the championship. The warm up can be a great place to incorporate a variety of movements and challenges that will help produce a more robust athlete. Rather than dedicating special segments in training to these areas, simply combine them in the warm up and kill two birds with one stone.